Converse Bay Park is situated on 111 acres with 0.75 miles of shoreline. approximately 15 miles north of Zwolle on Toledo Bend Lake. 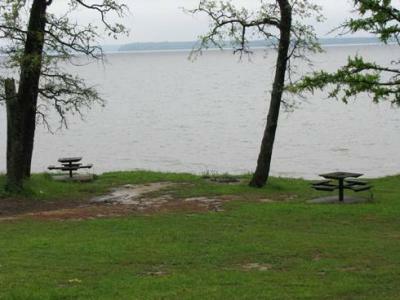 This park offers primitive camping, an open pavilion, a large parking lot, and a 2 lane boat launch. Come enjoy some great fishing either from your boat or from the bank. Form junction of US Highway 84 and Louisiana Highway 191 (Logansport, La): Go South on La 191 20.1 miles to the junction of la 191 and La 174/Rec Site 4 Road. This is between mile markers 55 and 56 on La 191. Turn onto Rec Site 4 Road (immediately across from La 174) and go 0.6 miles to the park entrance. From junction of US Highway 84 and Louisiana Highway 191 (Logansport, La): Go South on La 191 20.1 miles to the junction of La 191 and La. 174 / Rec Site 4 Road. This is between mile markers 55 and 56 on La 191. Turn onto Rec Site 4 Road (immediately across from La 174) and go 0.6 miles to the park entrance.